Welcoming and making their debut on Makin’ Moves Records. 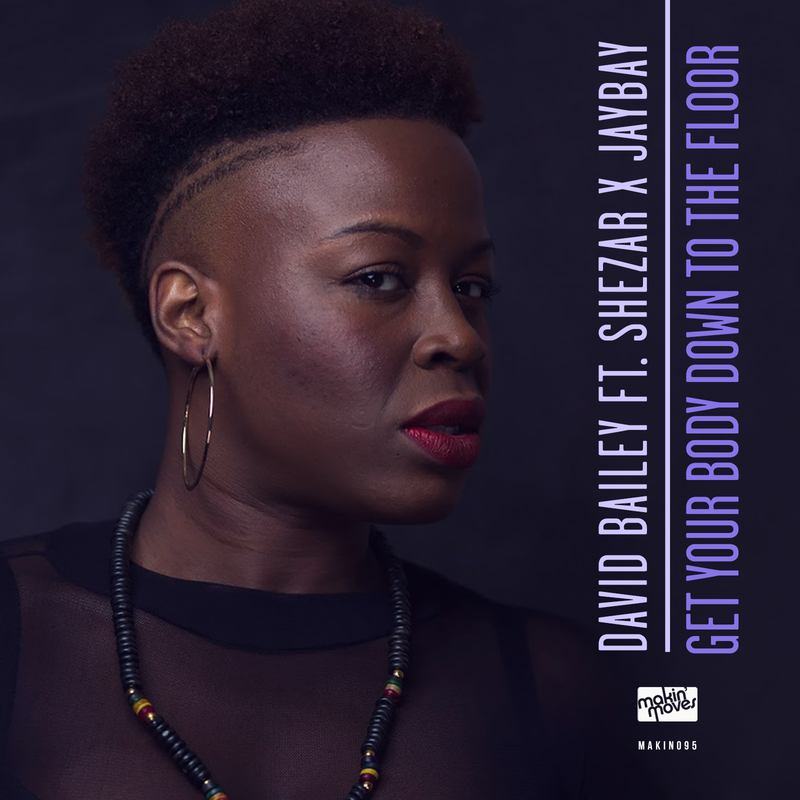 We are more than happy to present David Bailey featuring the very talented vocals from Hackney Soul/Gospel sensations ShezAr aka Sherelle Mckenzie and Jaybay. A smooth groove bassline laced with synths along with lyrics to certainly get your body moving! The collaboration does not disappoint! Available exclusively from Traxsource.com from Friday 12th April. 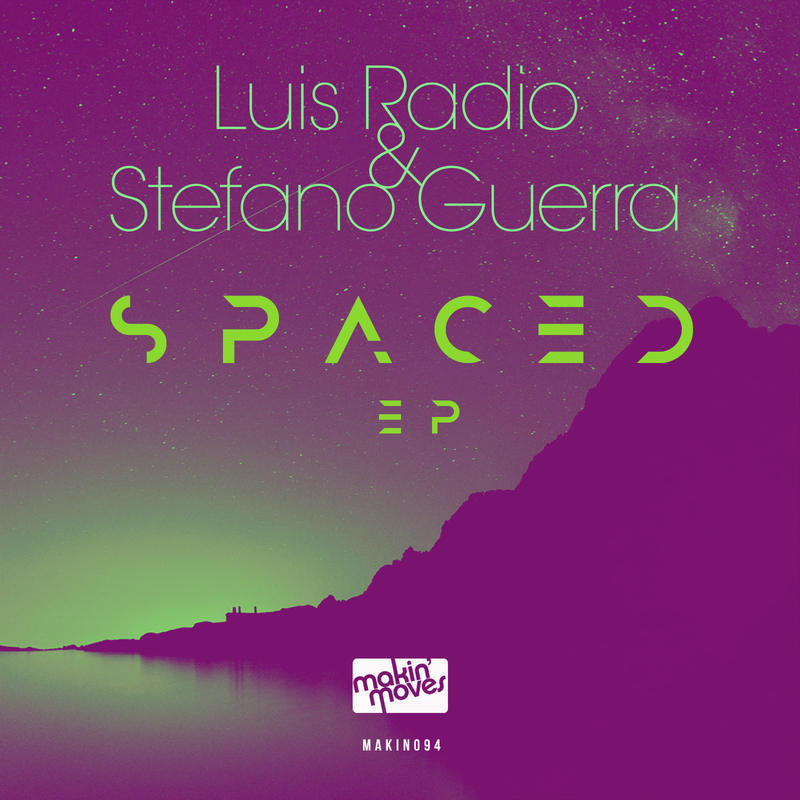 Following their storming album “We Can Shine”, the Italian duo of Luis Radio & Stafano Guerra are back once again with another killer EP! Never failing to disappoint, the boys killing it on the snyths and giving that driving bassline throughout! These two tracks have been sought after for sometime and have been rocking the dance floors when played! Now finally available for you guys exclusively from Traxsource.com from Friday 22nd March to rock it out! 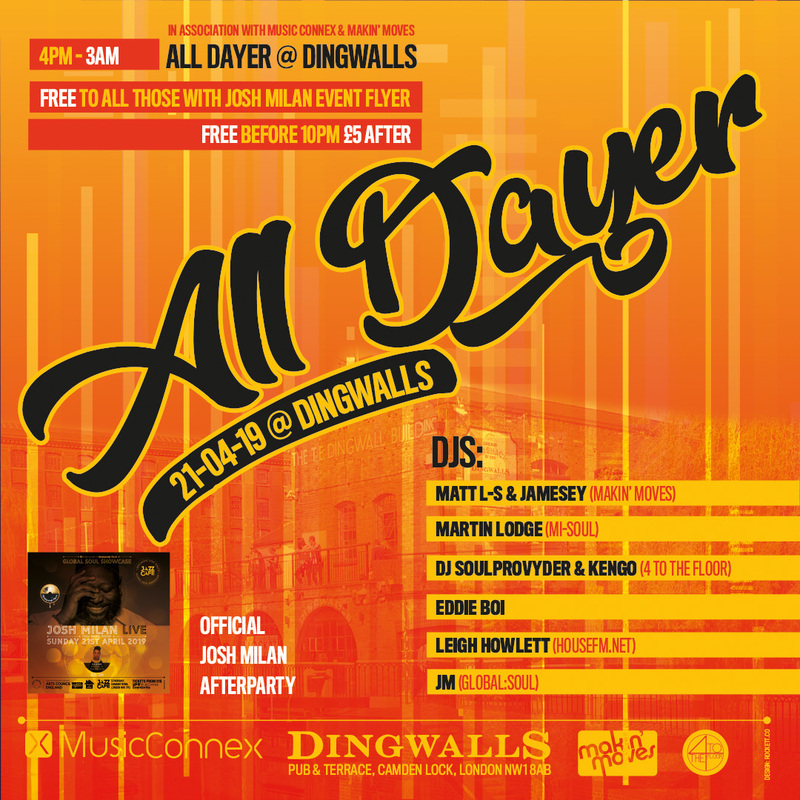 Makin’ Moves are back with their first all dayer of the year as we take over the famous Dingwalls pub in Camden Lock! With no work on Monday the party vibes are going to be in full swing with the sun out as residents Matt L-S and Jamesey are joined by their good friends DJ soulprovyder and Kengo from 4 to the floor who will be kicking things off in fine style. Other DJs spinning a selection of deep and soulful house, disco and soul through the day will be Eddie Boi who joins us from Berlin plus the amazingly talented Leigh Howlett from Housefm.net. Rounding things off and joining us later in the evening will be Mi Soul’s Martin Lodge and JM from MusicConnex. 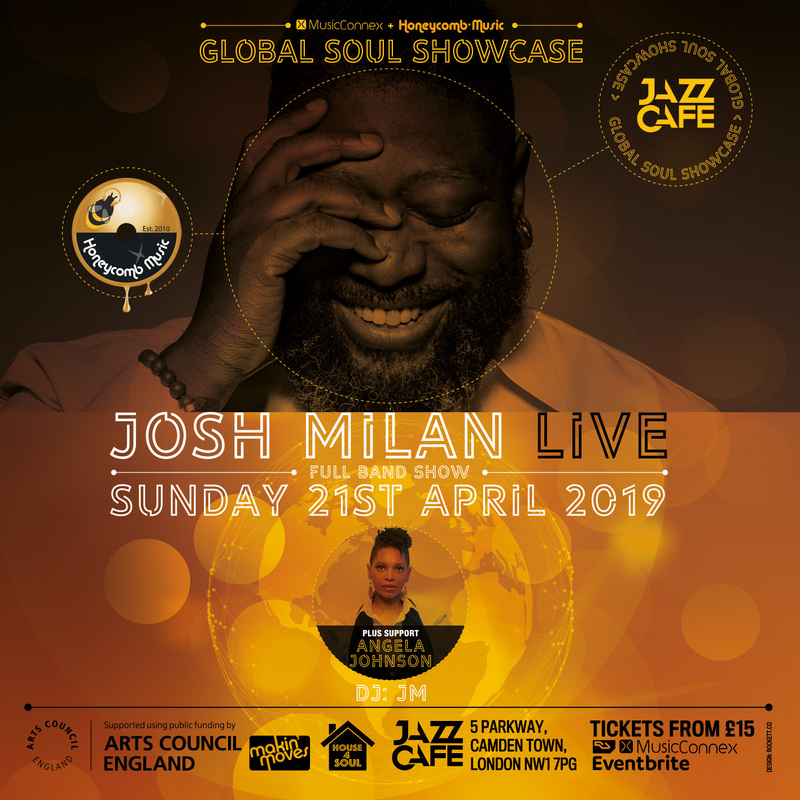 We are also the official after party for the Josh Milan gig in association with JM and MusicConnex which is happening over the road at the Jazz Cafe on that evening so anyone going to that event can gain free entry to this event if they show their ticket from the show at the door. It all looks set for a great event so hope you can come and join us! Joshua Alexander Milan, is a Grammy Award-nominated multi-instrumentalist, producer and CEO of Honeycomb Music, LLC. With a career spanning over 30 years as both a founding member of the iconic house music group Blaze and now Honeycomb Music label owner and solo artist, Joshua affectionately known as Josh has positioned himself as one of the most influential virtuosos in the contemporary dance music industry. With roots in gospel music, his journey into the world of music was innately divine. It is from this spiritual base that he approaches each project with a level of authenticity and originality rarely found in contemporary music. It is safe to say that the best is yet to come as Josh Milan is committed to reinventing himself, endeavouring to stay relevant in an ever-changing industry. Look out for details of the after party coming soon. 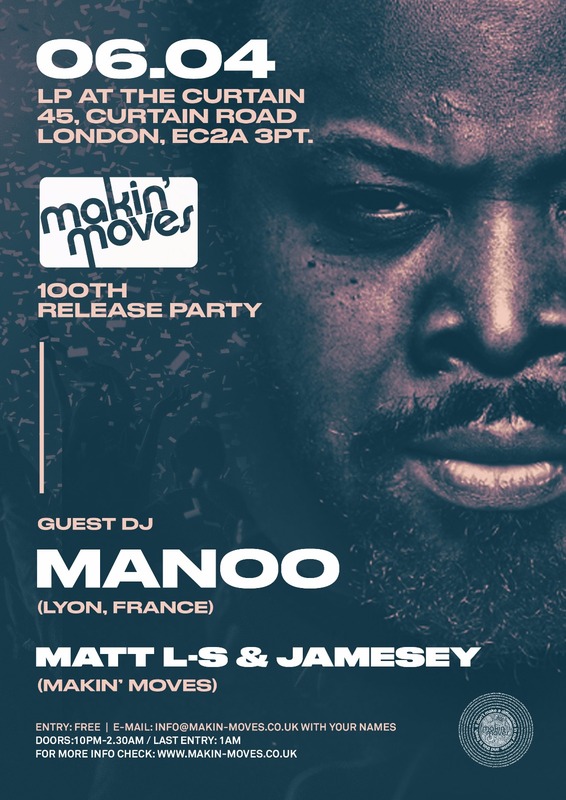 London based record label and events company Makin’ Moves now into it’s 7th year celebrate their 100th label release with a exclusive free invite party inside LP on Saturday 6th April. The Makin’ Moves team have worked with some of dance music’s most underground artists in the last 6 years including Chicago’s Peven Everett, Glenn Underground, to NYC’s DJ Spinna and Timmy Regisford to UK soul legends Lifford Shillingford and Omar to name but a few. For their 100th release they have man of the moment Manoo from Lyon in France on remix duties. 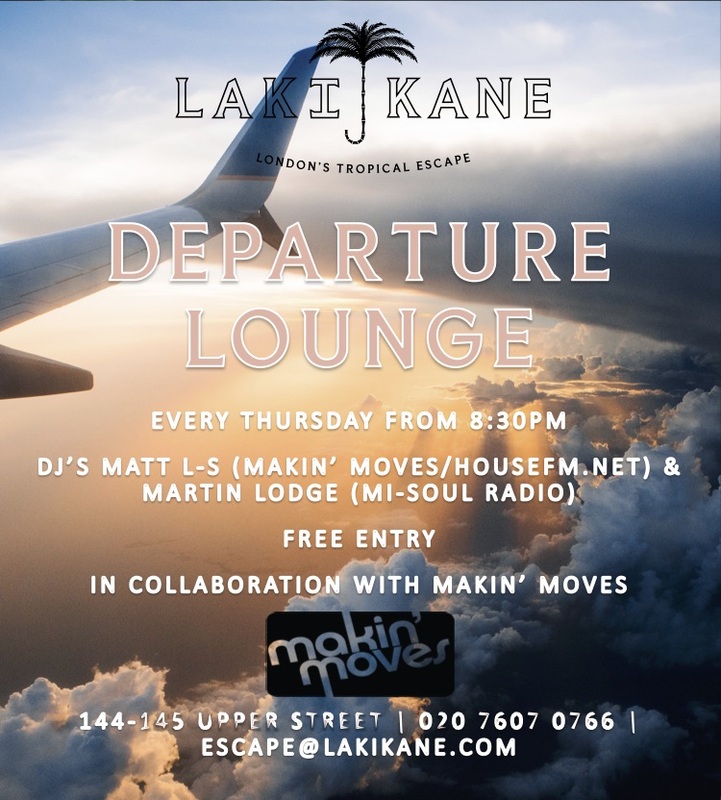 He’s also an awesome dj and for this special event will be flying into town to join Makin’ Moves resident DJs Matt L-S and Jamesey who will be bringing their unique soulful house sound to one of London’s best kept secrets, LP a very cool intimate 200 capacity club with chequerboard dance floor hidden inside the Curtain!! As a dj, Manoo is undoubtedly one of the greatest talents and a rising stars of the French House community. Manoo built himself a strong reputation as a Dj in the late 90’s as resident of the Ambassade Club in Lyon in France. From early on the locals loved Manoo’s sets and it wast long before people from far and wide were coming to hear him. He now travels the world playing but still makes time to keep his residency at Ambassade club. In 2001, Manoo took his first steps into production and started the Rodamaal project with his friends Alex and Rocco. Their first release “Love Island on Jazz-up Records was picked up by a lot of top djs. This furthered their reputation and led Ben Watt (Everything but the Girl) to sign them to his label Buzzin’ Fly Records. In 2004-2005 more records followed with collaborations with Francois A and has since go not release his music on German label Innervisions and Ron Trent’s Future Vision imprint. Aswell as remixes on Quantize Recordings, MoBlack, Tribe, King Street and Kemet Soul. 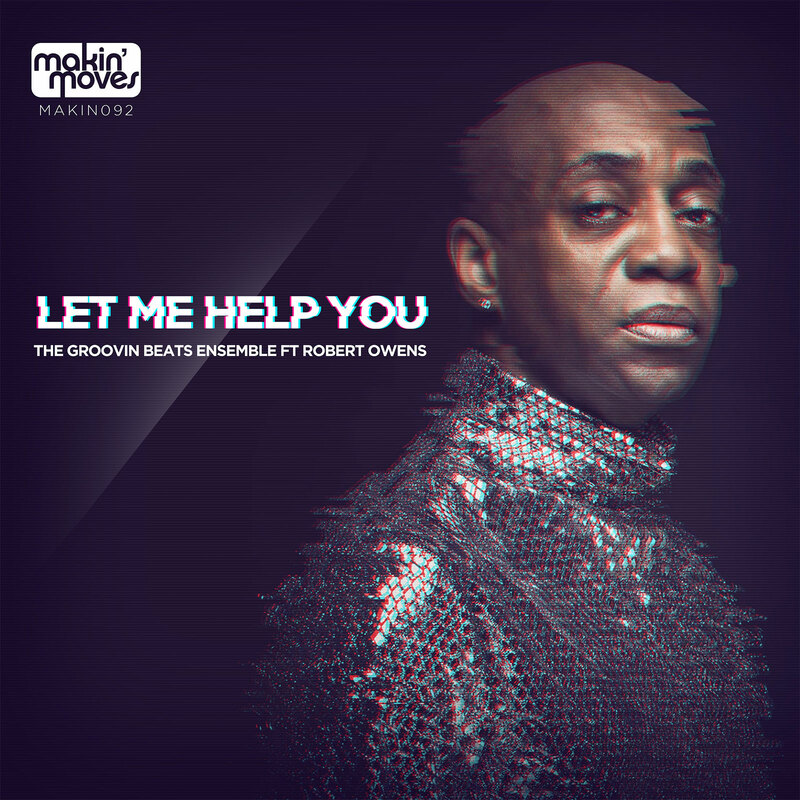 Makin’ Moves Records are honoured to have the legendary Robert Owens appearing on the label, presented by The Groovin Beats Ensemble out of Naples headed up by our good friend DaSoul. With more than twenty years as a gifted singer, songwriter, producer and DJ under his belt, Robert Owens is very much the most celebrated voice in house music. Ill Be Your Friend and Ordinary People are just some of the tunes that have borne Robert Owens black velvet voice and that have gone on to become truly classic dance records. Like many other great vocalists, Robert Owens began his career singing in church gospel choirs. In 1985 Robert met pioneering Chicago producer Larry Heard, who invited him into his studio. Together they formed Fingers Inc with Ron Wilson and released a series of excellent singles such as Mysteries Of Love or the instantly recognisable house standard Can You Feel It. Ask any fan of dance music who their favourite male vocalist is and nine times out of ten Robert Owens name will come back. Sure, there are other great male house vocalists out there, but with more than twenty years as a gifted singer, songwriter, producer and DJ under his belt, Robert has not so much embellished house music as played a large part in defining it. ‘Tears’, ‘I’ll Be Your Friend’ and ‘Ordinary People’ are just some of the tunes that have borne his black velvet voice and gone on to become truly classic dance records. Finally, 2008 will see the release of Robert Owens first artist album in 10 years – ‘Night-time Stories’. In 1985 Robert met pioneering Chicago producer Larry Heard, who invited him into his studio. Together they formed Fingers Inc with Ron Wilson and released a series of excellent singles such as ‘Mysteries Of Love’ or the instantly recognisable house standard ‘Can You Feel It’. This cooperation culminated in one of house music’s first full-length albums ‘Another Side’ in 1988, after which the group amicably disbanded to follow their individual solo careers. Following the call of Frankie Knuckles, Robert went to New York in 1989 to record a track with the Def Mix posse – consisting of David Morales, Satoshi Tomiie and Frankie himself. This tune, so casually constructed, was to become one of clubland’s most emotive and defining moments: the sublime ‘Tears’. That song all about his life and struggles was the ignition of Roberts successful career as a solo artist. Signing with 4th & Broadway in 1990 he showcased his beautiful church-honed vocals and heartfelt lyrical style on the album ‘Rhythms In Me’, completely produced by the Def Mix crew. His 1991 single ‘I’ll Be Your Friend’ finally gave Robert the overground success he so obviously deserved, climbing the charts to 1 all over the world! Leaving New York behind, Robert relocated to London in 1993 where he founded his own label imprint Musical Directions and started assembling his own studio. He continued composing and singing on a series of dance classics such as ‘Love Will Find Its Way’ or ‘Ordinary People’ and collaborated with a remarkable list of influencial artists like Sandy Rivera and Photek (on his smash hit ‘Mine to Give’), and more recently with Ron Trent and Coldcut (on the stunning ‘Walk a Mile in my Shoes’ single). But Robert also stayed true to his records spinning club roots. As an innovative and globally in-demand DJ he is still dazzling crowds across the UK, Europe, Japan and America with his special blend of the deepest house and electronica. He also established two successful London club residencies – Journeys at Egg and 2 Feet Deep at The Key. Which brings us to “Night-Time Stories”. Robert’s latest musical offering is an incredibly cohesive collection of collaborations with some of contemporary house music’s biggest and most respected names. 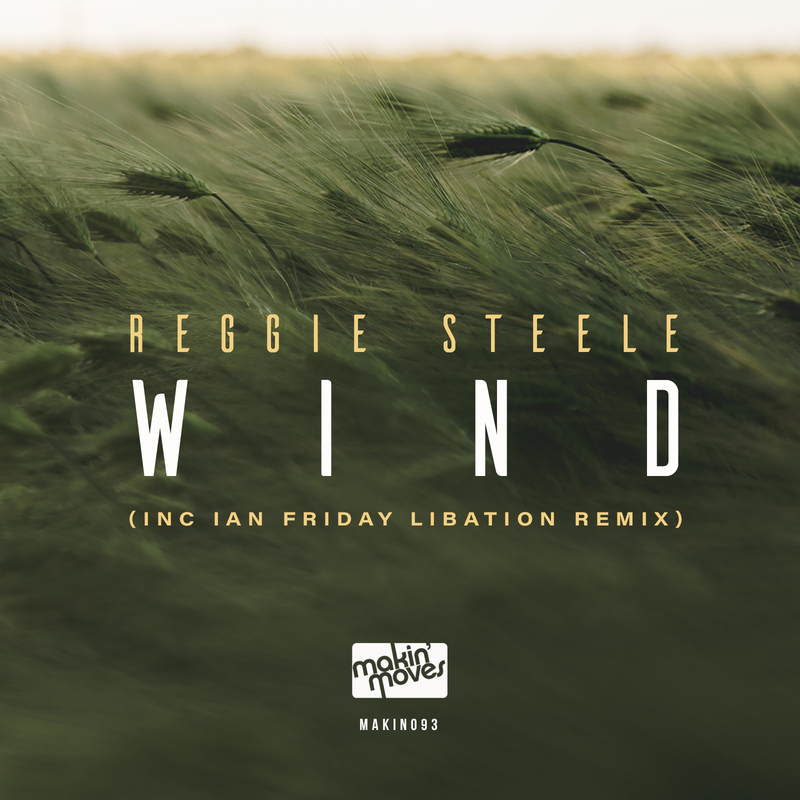 Producers like Wahoo, Jimpster, Atjazz, Charles Webster, Simbad, Marc Romboy, Kid Massive, Kirk Degiorgio and Ian Pooley all demonstrate their talents, which combined with Robert’s famous voice, make this one of the most exciting and anticipated dance records of 2008! The first single release ‘Merging’ (produced by Dutch duo TJ Kong & Nuno Dos Santos) is already raising the roof worldwide getting love and massive support from key players like Osunlade, Frank Roger, Fred Everything, Marcus Worgul, King Britt, Jimpster, Ashley Beedle, Peter Kruder… This overwhelming response is heralding a shift in the state of the art: people are getting weary of minimalistic tracks – they want some vocals back in – and they want some soul back in! You are sure to get the full load of soul when Robert is performing with his Live Band. To fuse house music with real instrumentation has been a dream of Roberts for a long time. His album ‘Journeys’ which was released in Japan only in 1997 already highlighted this new new musical routes. Together with his band – which features Dan Berkson (Poker Flat) on keys and a guitarist and percussionist – he performs what is essentially live house with a jazz flavour. The tracklist is a mix of Roberts classics and new album material. To many people the amazing show was the highlight of Big Chill Festival. So there you have it. From the gritty but sublime Trax of yesteryear to the forward-looking projects of today, Robert Owens is one of dance music’s true legends, a man who has his roots in the future and his feet planted firmly on the earth – and a man who has never been afraid of sharing himself with others. Cornell “CC” Carter has been gracing stages and entertaining thousands of fans with his signature sound around the world for many years. He is known for his phenomenal stage presence, his high-powered audience engagement, and his extraordinary and dynamic vocal skills. Cornell’s strong love for music developed when he was a young man growing up in a San Francisco home chock full of Jazz, Blues, Funk, Soul, and Gospel, which has been the inspiration for his creativity and songwriting. He co-wrote and produced his internationally acclaimed 2016 album In The Moment. That Feelin’ appeared on Cornell CC Carter’s second artist album “One Love” that was released last summer. It was the first single off the album and it straight away became an instant favourite with us with it’s classic Marvin Gaye feel. The track was being played on all the soul music stations and we felt that the song had even more mileage with a house music audience. Since the label began back in 2012 we’ve wanted to get Frankie Feliciano (Reconstruction Records) to do a remix for us but it had to be the right track and as soon as Frankie heard the original he felt he could create something special and boy has he done that! CC has had many once in a lifetime musical experiences to draw from, but two of the highest points of his career so far has been sharing the stage as an opening act for the late great Godfather of Soul, James Brown, and the legendary Ray Charles. In addition to his various headline performances, he has also opened for other household name brand artists such as The Whispers, The Temptations, Natalie Cole, and Kool and The Gang.